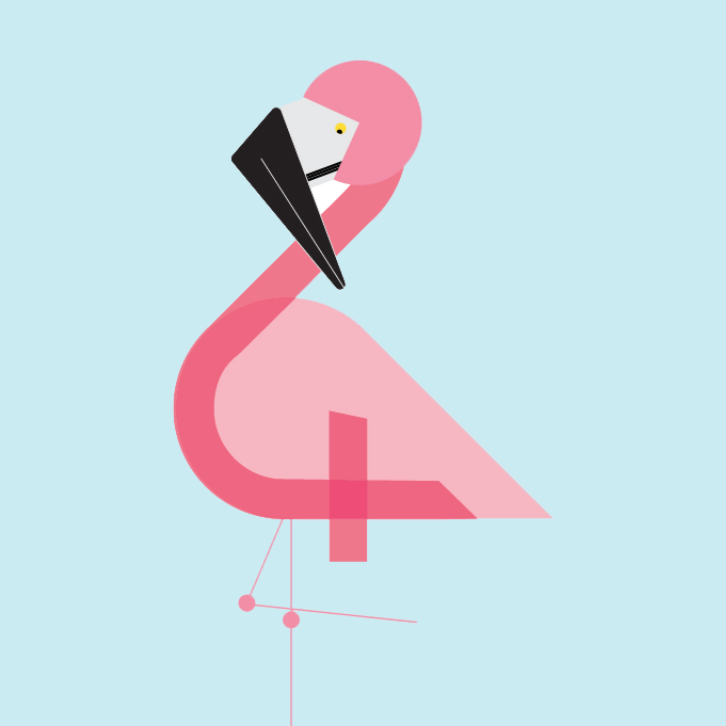 Thinking about joining the Lingo Flamingo flock? Have a read a the 10 points below, we hope they convince that we do language learning a little differently. Keep in mind that the profits from our unique Language Nest classes for all ages go towards supporting older adults in care homes across Scotland. Our raison d'être has been creating immersive, engaging and sensory classes for older adults and those living with dementia. These brain-boosting classes have led us to develop unique teaching techniques and an accessible, laid-back learning environment for those of all ages! If Lingo the flamingo had a middle name it might just be accessibility. No matter your age, physical ability, mental health, financial situation or location we want you to be able to benefit from language learning. That’s why we put accessibility at our core, from the teaching techniques we use, to the original materials we create, to our pricing structure. A huge part of making language learning accessible is making it affordable. Across our range of classes we therefore keep prices as low as we can and include all textbooks, materials and extras within the listed price. For many unfortunate reasons language learning in the UK is often associated with a certain dull rigidity, painful awkwardness or aimless purpose. We want to put such notions to bed for once and for all. We do this through a variety of means such as offering you a tea or coffee on arrival, providing a comfortable learning environment, creating connections between you and fellow learners, and ensuring the pace of learning is right for you. We’re a social enterprise founded to promote and utilise the health benefits of language learning. As such, each and every penny of profit from our Language Nest classes, for all ages, goes directly to offering free or subsidised projects to care homes across Scotland. You’ll likely learn very little if you’re not enjoying yourself and having fun. That’s why our classes involve sensory teaching, fun games, novel activities and unique materials. Alongside our experienced tutors these elements make for interactive classes where the time flies and your learning stays with you. That's why we like to say our classes are good for the brain and good for the banter. Smaller groups ensure that more time can be dedicated to your learning needs. It also means that you are more likely to create the bonds with your classmate that are conductive to learning. That’s why we’ve created a living-room-esque learning space where no more than 12 students can get comfortable, get cosy and get learning! We work with a number of world-renowned research partners to build upon strong academic foundations showing the health benefits of language learning. This firstly helps support the growing movement of non-pharmaceutical treatments for those living with dementia. And secondly, it also helps contribute to knowledge showing that learning a language has value above and beyond the inherent benefits we're all more familiar with. We have developed textbooks for older adults and those living with dementia. These are the first of their kind in the world and use selected colours, large text, readable fonts and engaging content to meet an array of abilities and needs. Alongside these we use a variety of props, games, activities that you’re unlikely to find in your normal classroom environment. We know how daunting learning a language can be. However, our classes are here to guide you and provide an enjoyable experience where you’ll see yourself develop and your skills blossom. Indeed, research into our classes show that our methods lead to increased confidence and a great sense of well-being amongst students.